Home / Blogs / Car Insurance / How to choose and buy the right car insurance (India)? “Wheels Wisdom gets their customers’ cars repaired under insurance every day! You know which insurance companies provide the best claim experience, and are most fair with customers. Why don’t you guys write an article based on first hand experience, on how to choose the right car insurance? It’ll help lakhs of Indians who research the internet for credible advice on car insurance every day.”, said one of our customers after we gave him a 15 mins complimentary advice to help choose his next car insurance. His previous policy had expired, and we couldn’t pick his car for service and repairs unless his car had an unexpired insurance policy. Well, we thought of it – it’s true. We service and repair cars every single day. And we do manage insurance claims for many of them. So why not? We decided to share our knowledge online, so car owners in India could take better decisions. If your car insurance policy is coming up for renewal or has already expired, read on to determine which insurance company you must select, and which insurance policy you must buy. Keep in mind, we’ve kept the language simple, prioritizing ease of understanding over accuracy of jargon. Of course, there are many more good insurance companies in India. But these are the ones which we would choose, given a choice. Bumper to bumper (Zero depreciation or NIL depreciation) policy: If you’re the kind of person who doesn’t want to take ‘any chances’, this is the policy for you. However, you can only get this if your car is less than 5 years old. When you register a claim, a typical Rs.1500 is charged as ‘claim charges’. Pretty much everything else in your insurance related repair gets completely covered under this type of policy. Needless to say, premium is highest for Bumper to bumper policies when compared to the following two types. Comprehensive insurance policy: This is the ‘in between’ or ‘medium’ type policy. What that means is, in the event of a claim, the insurance company deducts what is known as ‘depreciation’, and then pays for only rest of the repair costs. This depreciation increases with the age of the car, and typically ranges from 10 to 50% of the cost of repair. Premiums are lesser than bumper to bumper policies. This is also the policy to go for if your car is older than 5 years. Third party liability only: This is the minimum every motor vehicle in India MUST have to legally drive on public roads. In other words, it is mandatory. It is illegal to drive without Third party liability insurance. The first two types of insurance – Bumper to bumper and Comprehensive include Third party liability in them. So what does Third party liability get you? In the event of an accident, if an affected third party claims that you must pay them a certain sum as damages because it is established that it was your fault, and your insurance company agrees (usually with the Police and the Court in the loop), then your insurance company pays the third party – not you. When you tell the insurance company the make and model of your car, the insurance company assigns a certain value to your car. Sometimes they allow you to choose within a range – not much – a small delta below and above the set IDV. Lesser the IDV, lower your premium. Keep in mind that in the event of a major accident and the car being labeled a ‘total loss’, you will only get the IDV amount minus applicable charges per your policy. If you don’t make a claim for the first year, you receive a 5 or 10% discount on your premium. If you don’t claim the second year as well, this discount goes up to say, 10 or 20%. This is called the No Claim Bonus. NCB can go all the way up to 50% if you don’t claim in successive years. Both methods have their pros and cons. When you buy online, and particularly when buying from aggregators who sell multiple brands on the same website, it is easy to get carried away by low premiums, and buy the policy with the lowest premium. However, it is in the event of a claim that many customers realize what they signed up for was not what they ‘thought’ they had signed up for. On the other hand, when you speak to an insurance agent and then buy, chances are that you will make an informed decision, albeit costing more than the online marketplace. Remember, at the time of claim, no insurance company will let you alter your policy terms. 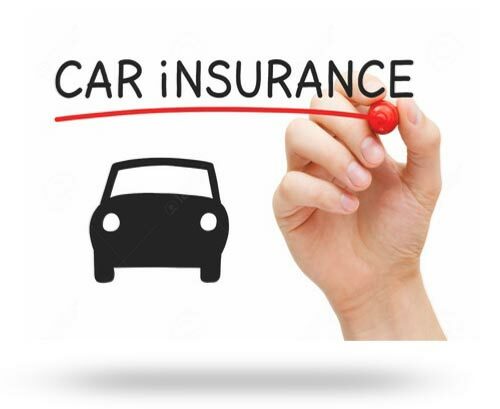 We hope sharing our experience on car insurance has been useful to you! Never drive without a valid motor insurance policy because it is illegal. Always keep a copy of your insurance policy in the glove box. Drive safe! Previous post: Courts and Cars – Can Public Good go hand in hand with Industry? Next post: How to save on clutch replacement costs?